Our excellent 44-foot Sport-Fishing boat is a great option for larger groups of sport fisherman who want a very professional outfit. 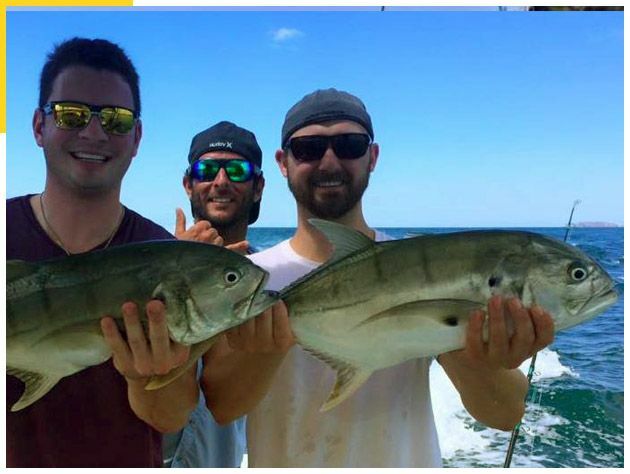 Options include in-shore as well as off-shore fishing and you can expect to have a chance to catch a wide variety of species (see partial list below). Sport fishing species our fishing excursions often encounter: Costa Rica Sportfish Black Marlin, Costa Rica Sportfish Blue Marlin, Costa Rica, Costa Rica Sportfish Sailfish, Costa Rica Sportfish Dorado, Costa Rica Sportfish Yellow Fin Tuna, Costa Rica Sportfish Rooster fish, Costa Rica Sportfish Snapper, Costa Rica Sportfish Snook, Costa Rica Sportfish Wahoo, Costa Rica Sportfish Tarpon, Costa Rica Sportfish Machaca, Costa Rica Mahi-Mahi, Costa Rica Tuna, Costa Rica Mackerel, Costa Rica Sportfish Snook, Guanacaste Red Snapper, Flamingo Grouper, Tamarindo Sail Fish and more. If you are staying in the Jaco area, you can contact us and we can arrange shuttle transport for you to the best fishing spots. Our boats are outfitted with all equipment and tackle for the enjoyment of quite possibly catching a great fish for the day in the costal areas off the coast of Guanacaste. 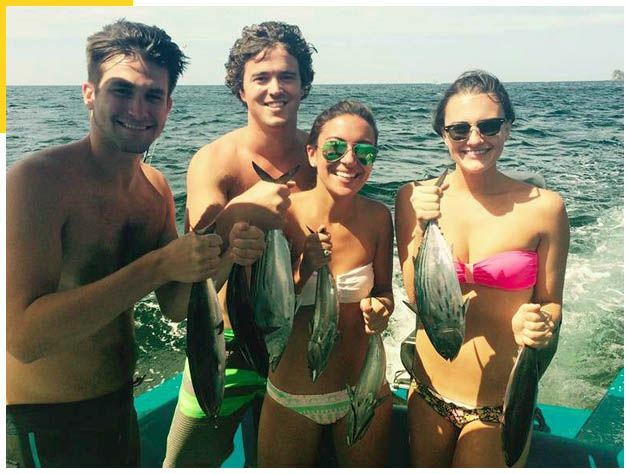 You can also fish Las Catalinas (The Catalinas Islands), Playa Danta, Punto Zapotal, Dantita Beach, Homeymoon beach, Playa Amor, Flamingo Beach (near the Flamingo Beach Resort, Guanacaste, Costa Rica). Snorkeling and Kayaking also available.